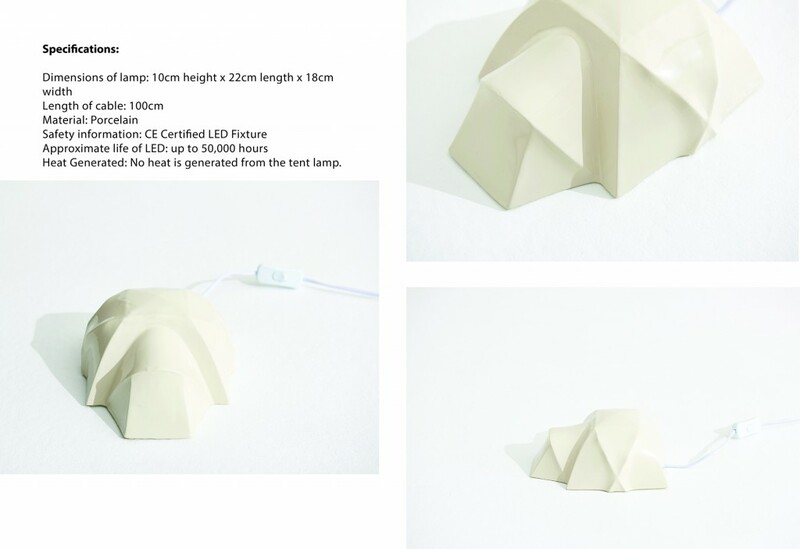 Inspired by camping tents glowing at night, the ‘Tent Lamp’ brings the outdoors indoors in a playful, almost nostalgic way. This is for individuals who are less outdoorsy and more adventurous at heart. Disregard the realities of camping, as this familiar tent form and its warming glow, conjure only the most romantic memories of camping. Beautifully detailed and designed, the lamp looks great as a room sculpture during the day and as a table or shelf lamp during the night. 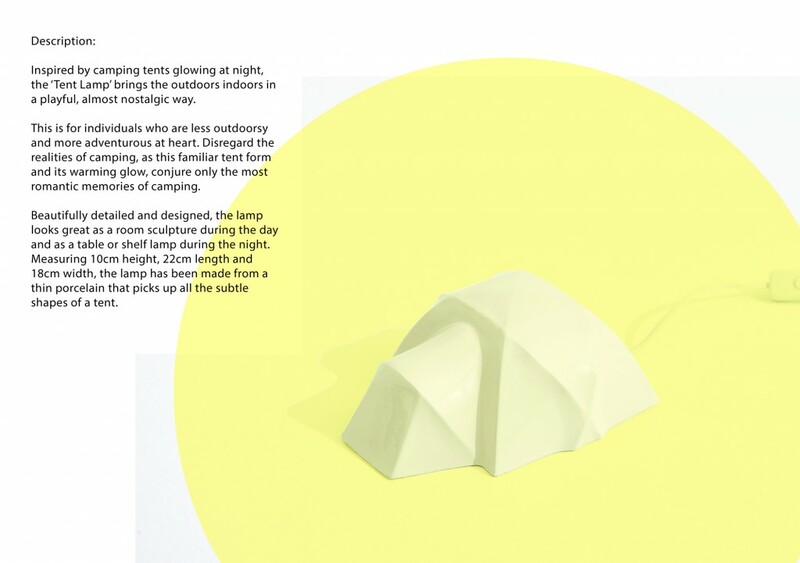 Measuring 10cm height, 22cm length and 18cm width, the lamp has been made from a thin porcelain that picks up all the subtle shapes of a tent. 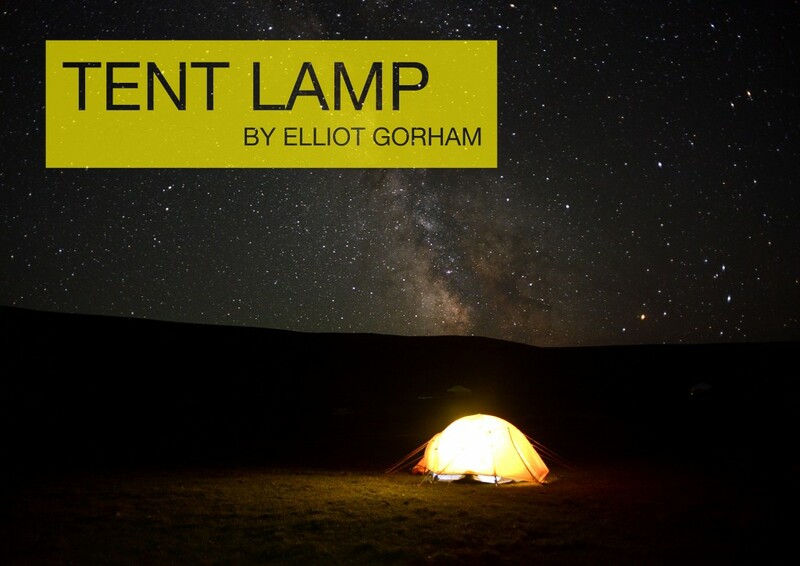 Heat Generated: No heat is generated from the tent lamp.